Everything is done from the User Accounts control panel so first we will show you where to find it. 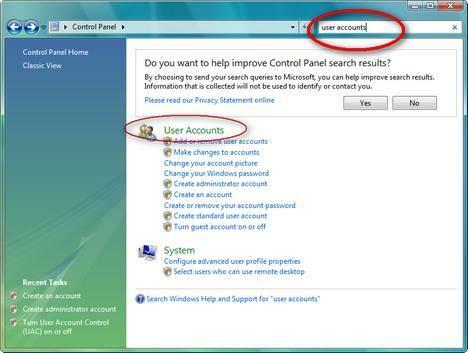 Start the control panel, type user accounts in the upper right search box and then click on the first search result (user accounts), as shown in the screenshot below. In Windows 10 you can click the search icon (magnifying glass) in the bottom-left corner of your screen and type: "User Accounts". Now you should have a link to the user accounts. All the setting are pretty much the same as in previous Windows versions. 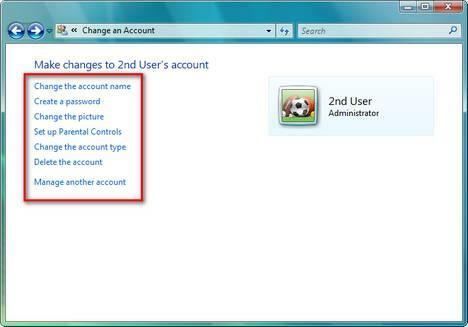 In the User Accounts control panel you can customize different aspects about your user and, if you have administrative rights, you can manage other user accounts as well. 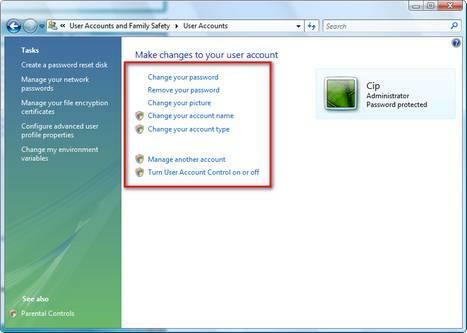 In the User Accounts control panel, click on the Change password link. 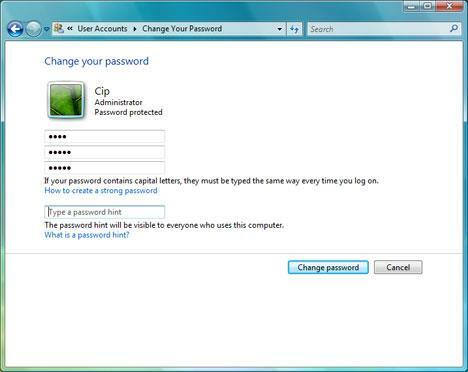 In the first box type your current password, in the next two boxes type the new password and then click the Change password button. For security reasons it is better not to use simple passwords like "123" or "password" as they can be easily guessed by other people and can compromise the security of your system. Try to create more "complicated" passwords which have more than 3-4 characters and include numbers or alpha cases such as "#", "@" or "&". If you would like to know more about how to create "safe" passwords, you should read this article regarding the strength of your passwords. If you want to remove your current password, go to the User Accounts control panel and click on the Remove your password link. 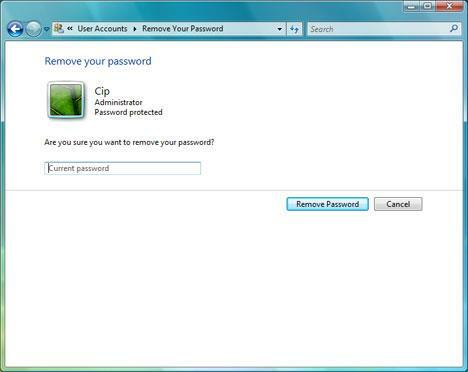 To remove your current password you have to type it and then press the Remove Password button. Please remember that it is not advisable to remove your password. If you do that anybody can have unrestricted access to your PC and to all your data. In case you want to change the picture (avatar) associated with your user , just click on the Change your picture link. 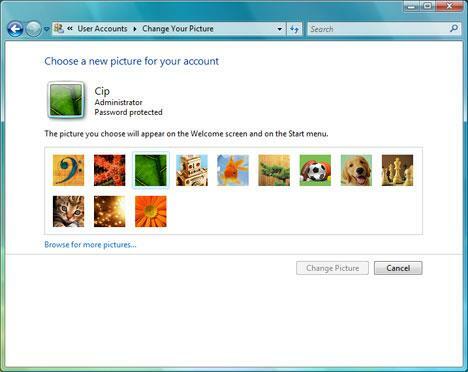 Windows Vista will load a list of standard pictures that you can use. If you like one of them, click on it and press the Change Picture button. Otherwise, you can click on Browse for more pictures and choose any other picture from your computer. To change the account name, go to the User Accounts control panel and click on the Change your name link. Now type the new account name and press the Change Name button. 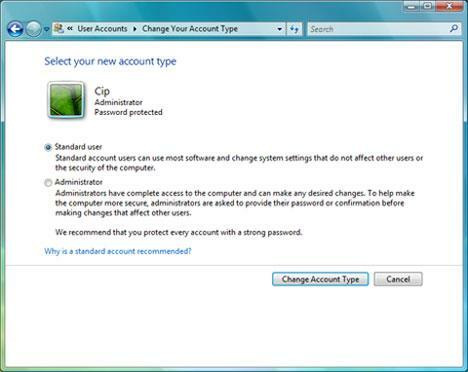 To change your user type, click on the Change your account type link and then choose the preferred type of user: standard user or administrator. When you are done, press the Change Account Type button. 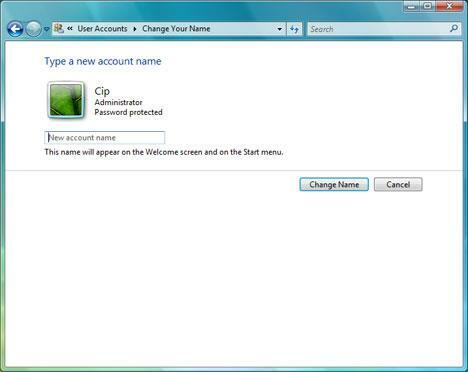 If you need to create a new user account on your Windows Vista PC, first go to the User Accounts control panel and then click on the Manage another account link. You will see a list with all the existing users. Below this list, there is a Create a new account link. Click on it and you can enter the name of the new user account and select its type. Now click on the Create Account button and the new user account is created. 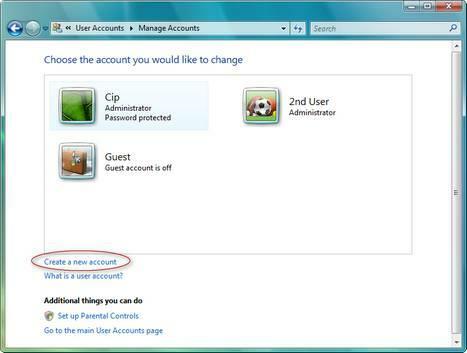 Here you can make the same changes as for your own user account. 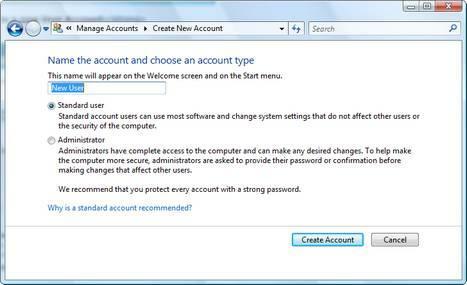 I need to edit the Standard User Account Start > All programs Menu so that is does not display the programs that are installed under the Admin main account. I know that Premium does not have the GPedit.msc nor can it be post installed, so I know it must be a registry work around, or even a 3rd party programs, but I cannot find enough details to get a solution. anyone know how to do this please.